The “Dime-Novel Detective Story” was considered trashy craft-art and formulaic, bought at newsstands on your way to work to escape the daily grind. The illustrations to pulp fiction were catchy to the eye and easily bought with pocket change. By the 1930s, American Noir had expanded to a wider range of plots and types than the hardboiled detective story. 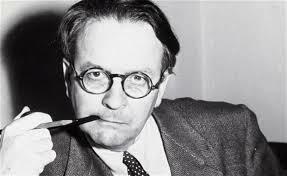 Raymond Chandler helped legitimize sensational pulp fiction (the magazines were made from wood pulp) and his gritty detective stories from the 30s, 40s, and 50s blossomed from cheap entertainment into influential American pop-culture. Crime stories in pulps such as The Hardboiled Dicks, edited by Ron Goulart, was a collection of crime stories competing with other pulps: Black Mask, Dime Detective, and Detective Fiction Weekly. Chandler became a principal writer for Black Mask. Just like Marvel Comic Books, if you find an original edition of Black Mask, buy it for me, will you? I’ll pay for the postage. Chandler was a successful screenwriter of several classic films: Double Indemnity, And Now Tomorrow, The Unseen, The Blue Dahlia, Strangers on a Train, and Playback. He was author of the detective mystery novels: The Big Sleep, Farewell, My Lovely, The High Window, The Lady in the Lake, The Little Sister, The Long Goodbye, Playback, and Poodle Springs (posthumous). He birthed the popular American detective, Philip Marlowe, immortalized by Humphrey Bogart. Want to learn more about the history of Philip Marlowe? Check out this excellent article by Dave Ordgard. 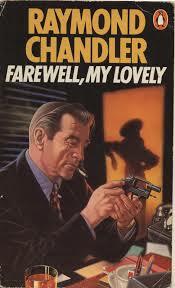 Raymond Chandler’s style is distinctive. His American detective is nothing like the British mysteries of Sherlock Holmes and Agatha Christie. Here, the gunshots are real and the blood flows. The detective is coarse. He drinks too much and smokes too much. He has a soft spot for beautiful women who mysteriously need his help and often put him in danger. Despite the shady life and femme fatale, the detective has a moral center and does the right thing. He narrates his stories and offers his thoughts and feelings. Have you heard of Chanderlisms? They are the ludicrous similes that only Philip Marlowe could get away with saying. American Noir has been a Hollywood staple for decades. Come back soon to read my upcoming film spotlight on a great Billy Wilder film, Double Indemnity. What’s your favorite American Noir? Love this post, can’t beat a bit of noir. I think L.A. Confidental and The Maltese Falcon…. My favourite is probably L.A. Confidential. Excelllent! It’s one of my favorite films. It’s perfect. Great post. If magazines like Black Mask still existed, there would be a lot more promising stories waiting to be turned into movies. It is hard to pick a favorite noir movie, but “Out of the past” from the novel Build My Gallows High, would be near the top. Yes, I would love to acquire a couple. Wouldn’t they be cool in a frame on the wall? Robert Mitchum. Gosh, gotta love him. I didn’t see him portray Philip Marlow in The Big Sleep–I just don’t think anyone could be Philip but Humphrey Bogart, but Robert Mitchum has the looks and face for Noir. Just watched Double Indemnity (post coming) and was impressed with Fred MacMurray. Mitchum was my favorite Marlowe, but in Farewell My Lovely…not The Big Sleep, which sucked. I got that impression. I need to revisit Fairwell, My Lovely and Hitchcock’s Strangers on a Train. Saw them too long ago. Wonderful post, Cindy. Okay, I’m sure I revealed my immaturity when I guffawed at the ‘The Hardboiled Dicks’ title. Double Indemnity would be one of my favorites in this classic category, with Chinatown and L.A. Confidential for the latter neo-noir. So many great ones, though. Hi Michael. Hardboiled Dicks’ indeed. 🙂 So many I have yet to see! I’m anxious to watch some Robert Mitchum films like Farewell, My Lovely. I still need to catch up on some Bogart films. It’s a fun genre. Funny how the memory works – I tend to forget Chandler and he was a good actor and of course, MacMurry always gets stuck with the My 3 Sons tag. Great post. Hi GP: Yes, MacMurry as the father–he was fine, but he was awesome as tall, dark, and handsome schmuck in The Apartment and Double Indemnity. Yes, he was! I just keep forgetting that. I love a good noir, I generally like this type of detective stories too. My current crush Toby Stephens reads some of the ebooks as Philip Marlowe (even tho he’s a Brit). He’s sooo good I wish he’d portray him in a feature film!! I haven’t heard of Chanderlisms before but clearly his noir influence is very strong in Hollywood. His voice is like a drug to me, can’t get enough!! I’d love to see more Noir on the screen. He’d have to rumple himself up a bit to play Marlowe. He’s still too pretty. Go without shaving or sleep for four days. Yeah I wish there were more noir done in Hollywood. Oh Toby can look gritty enough as a private eye He can be pretty but lately as he gets older he looks grittier. I’d imagine he’d look like THIS with slightly messier hair 😉 http://flixchatter.tumblr.com/image/86164235057 He has that devil-may-care attitude that’d be perfect as Marlowe. Now that Clive is getting older, he’d be the perfect Marlowe. Ah ok, well yes I guess Clive IS a much grittier man. Not sure he can do a convincing American accent, but oh man, is he HOT in that photo! Excellent topic and lay out! I started out with Dashiell Hammett. “Who took murder from the drawing room and put it back in the gutter” with his nameless Continental Op in several pulp Noirs. While Chandler became the natural northern extension with Marlowe and his dry, often sarcastic class warfare wit centered around L.A.
Definitely writers of equal abilities and style. Where Chandler could thumbnail three pages of a lesser talent describing a manor into three sentences. And Hammett had the knack of compressing action into a full sweaty and often gory paragraph. Made famous in his novel ‘Red Harvest’. Check Netflix for the 1980s HBO series, ‘Philip Marlowe, Private Eye’ from HBO. Powers Boothe makes an excellent Marlowe! While Frank Miller’s ‘Sin City’ focuses and heightens the dirty sheen of grime and pegs the atmosphere wondrously in a near flawless adaptation of his early work. Check out ‘The Big Combo’ from the 1950s. Or ‘Out of the Past” to get a taste of some prime B&W Noir. Later color ‘Neo Noir’ can be sumptuously found in ‘The Last Seduction’ with Linda Fiorentino. ‘Cutter’s Way’, ‘Hickey & Boggs’ and ‘Tequila Sunrise’. LOL. Hi Kevin. I’m so glad you found your way over to my blog to give your 2 cents. I’ll buy! 🙂 You know more about the genre than I and I appreciate your suggestions. I will start with the 80s HBO, Powers Boothe. I read ‘Red Harvest’ years ago and think I was too young or distracted to appreciate Hammett’s book. A revisit is in order….What catches my fancy are the illustrations for the detective magazines. I think they’re beautiful. If you are going to re tackle ‘Red Harvest’ pace yourself through the Continental Op getting settled into the town nicknamed “Poisonville”. And be ready for a quick uptick in pacing after the first body drops and the rival gangs make themselves known. The basis of the novel has been re-made a few times in film. The most recent being ‘Last Man Standing’. With Bruce Willis, Bruce Dern, William Sanderson and Christopher Walken. Jeff Chandler (no relation?) even got in there – from radio to movies – as Mike Hammer. It was a bit of an industry – but some good stuff was manufactured. Nope, not related but he did a great job as Mike Hammer. Remember Stacey Keach playing him? Great post Cindy. Noir is definitely a favourite sub genre of mine. I adore The Big Sleep and The Maltese Falcon and modern ones like L.A Confidential are just superb. I’m a big James Ellroy fan too and would love to see an adaptation of his White Jazz. It’s the book that follows LA Confidential and even better in my opinion. Thanks Mark for stopping over. I value your opinion. Yes, sweet if they adapted James Ellroy to the screen. White Jazz…I need to read it. If you can tolerate Ellroy’s staccato writing then it’s definitely worth it. It’s a marvellous book. I’d also highly recommend his take on the events leading up to JFK’s assassination called American Tabloid. Not quite noir but those are my favourites of Ellroy. Thanks for the tip, Mark 🙂 Have a great weekend. 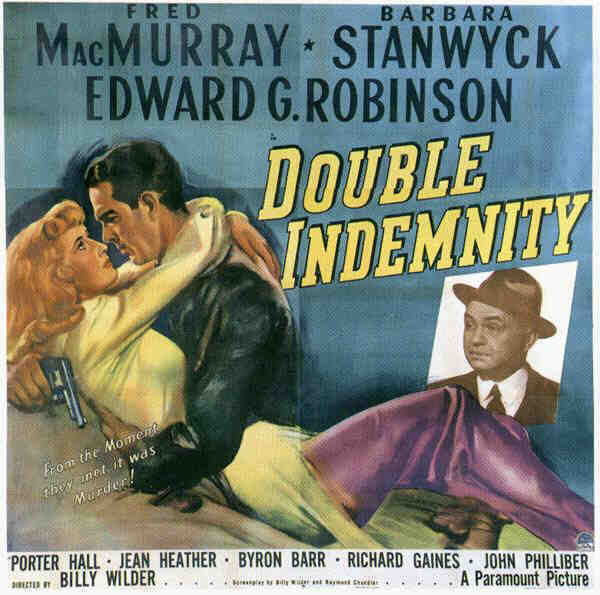 ‘Double Indemnity’ is without a doubt my favorite of the film noir movies. Recently, I read Patricia Highsmith’s book, ‘Strangers on a Train.’ The film has long been a favorite. Hi Kate 🙂 Alfred Hitchcock hired Oscar-nominated screenwriter Raymond Chandler to adapt Patricia Highsmith’s novel Strangers on a Train in 1950. Somehow, the years have rolled by and I have not read Patricia’s book. Wow! Thanks for reminding me to obtain a copy. Yes, I really love L.A. Confidential. In fact, it’s been years since I’ve seen it. I wouldn’t mind watching it again. Spacey and DeVito and Crowe and Kim (who won an Oscar, I remember) they were all soooo good. 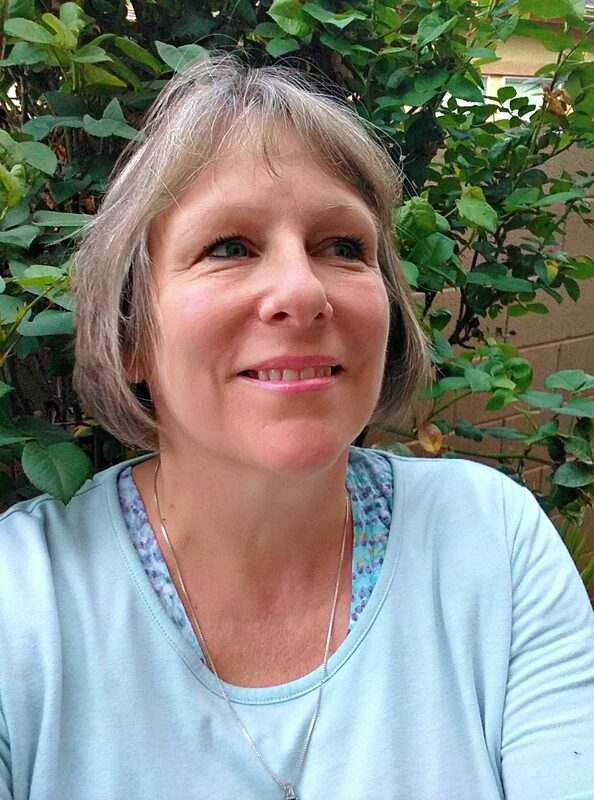 Great post Cindy! I love a bit of noir and I lov LA Confidential and also a big fan of The Big Sleep. 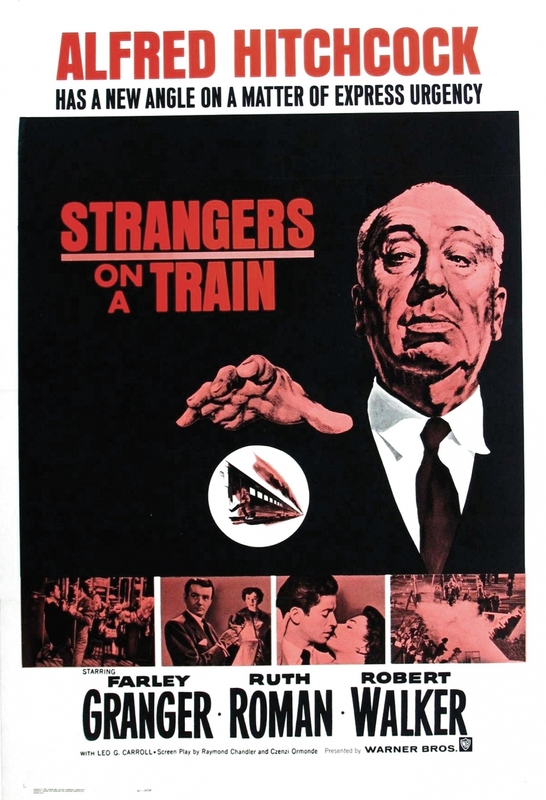 There are also a couple of Hitchcock films that touch on the genre too which I like such as Strangers on a Train. Hi Chris 🙂 Thanks for stopping by. It’s a fun genre, yes? Looking at the old classics with the stilted, serious dialogue only seems to enhance the experience as the years roll by. Good luck to Frank! It’s hard, I believe, to create an interesting, complicated plot with a murder and thrills and chills. My pleasure, Mrs. DW. I appreciate your kind words. I really love illustrations–what I wouldn’t give to find an original Black Mask. I don’t think anyone has mentioned it, but I’ve always enjoyed The Long Goodbye with Elliot Gould. The Long Goodbye was released I n 1973. As with many movies from that time, it is rarely shown on television. I think it is very well done. The following may seem a frivolous question, but could a movie such as Monte Walsh (1970, Lee Marvin, Jeanne Moreau, Jack Palance) be considered film noir? Is there also not an element of lost hope found in film noir, even when in color rather than in black and white? Yes. The best contemporary film noir in color would be 1997, ‘L.A. Confidential’, in my estimation. It is an interesting movie as is Mulholland Drive with Nick Nolte. I didn’t see Mulholland Falls but I do like Nick Nolte. Remember the remake of Cape Fear? I wonder if you could classify that one as a film noir. Robert DeNiro was a better psychopath than Robert Mitchum. I should watch Fulholland Falls, though, because I’ve heard it is very good and assuredly a film noir. This comment is only to pass along a link that if you don’t already have it might be of interest: http://www.openculture.com/free_film_noir_movies/.